Harrogate based Ethos Asset Finance has strengthened its team with the appointment of a new Sales Administrator. 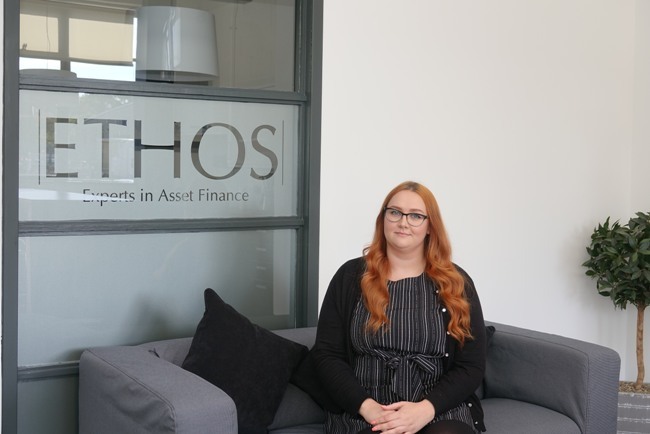 Rachel Anderson has joined the team at Ethos as it further cements its position as one of the UK’s leading independent providers of finance to a host of businesses and individuals. In addition to running her own business, she has a background working in a range of industries in co-ordination and administration roles. Chris Brown, who set up Ethos Finance in 2007 after 20 years in the banking industry, said: “We are delighted to welcome Rachel to the growing Ethos team. She joins us at an exciting time for the company. In 2017 Ethos reported a 60 per cent increase in turnover. It has attributed its growth to its established customer base, and a very strong presence in the chauffeur and private hire sectors, as well as a growing position in both the prestige (supercar) and agriculture sectors.